Do u have any posts for international applicants, specifically from the US? while we don’t have a specific US international applicants tag, we do have a general international students tag. you could also check out our admissions tag for more info, though it is more generalized, so you’ll have to slosh through a lot of posts to get to ones that’re relevant to you. you can also check out this link on the u of t website that describes how to apply to u of t as a US high school student. they also have information on what to do if you have AP or IB credits. Hey aska, I’m a senior student from Turkey and I want to study mechanical engineering in UofT. There is only one problem, and it’s obviously financial (yay for being an international student!). I talked to my family about this stuff, and they said that realistically, they can pay up to 40k CAD. Sooo the first question is about scholarships. I had 85 percent average last year, but I’m confident that I can get it up to 95 percent (let’s assume ok) because I’ve been studying this whole summer. I got 102 from TOEFL, worked at a rehab facility in summer, and joined a NASA contest but didn’t win anything so I don’t know if that last one counts. So what are the chances that I can get scholarship that’ll be enough? More importantly, what can I do to have a better chance? Also I’m willing to work while studying. The second question is, does taking SAT help? Everytime I ask this, the answer is different so I’m trusting you on this one! Lastly, sorry this took way longer than I expected but if I can’t get that scholarship, are student loans a bad idea? And there are not many for international students so is there a one that you can recommend? Thank you soooooo much, this is my second time asking here after almost a year and you can’t believe how much your answer helped! I’m grateful that you’re doing this voluntarily, have a nice day! i’m not 100% sure what the requirements are for a lot of the scholarships, as i think they fluctuate every year based on the applicant pool. i’m also not sure what scholarships u of t offers for international students– most of the scholarships i’m seeing are for domestic students. check out this link that has a scholarship sorter tool that lets you filter through the various scholarships in order to find ones that you would qualify for. they have an option for international and domestic students as well as admission and in-course scholarships. i can’t really say what your “chances” are or how to have a “better chance”. sorry, but my (in)finite knowledge doesn’t go that far. get in contact with enrollment services who will have way more information about scholarships, financial aid, and grants. i’m not sure if taking the SAT would help. according to this link, the only thing that you need in order to be considered for u of t are “excellent results overall” in math, physics, and chemistry in the grade 12 year. there aren’t any requirements beyond that, so unfortunately, i can’t give you an easy or direct answer. just know that the SAT is not required and would therefore, not affect your application either way. if i were you, i wouldn’t take the SAT (since you don’t have to) and focus on getting great marks in your grade 12 year. if you can’t get a scholarship, student loans are definitely an option! unfortunately, i don’t know much about international loans. but this link is filled with emails and contacts of people who do know tons about them. hit them up and ask away! they are definitely the ones who know the most and would able to help you the most. i’m really sorry for this super delayed response. i hope it still helps out. good luck! So im planning to apply to U of T and want to study criminology. To do so, I need to take an English Proficiency Test, like TOEFL or ?ELTS, because i went to high school in germany and english is my second language. And my question would be if i, as an international student, would have to take the SAT? Or would it be enough to show my high school diploma from germany and the results of the english proficiency test? yes, you’ll need to do an english proficiency test and then have the results sent to the university. as for another standardized test (like the SAT), you don’t have to send those results in unless you took them. if you did take the SAT, you’d have to have the results sent electronically from the testing authority. you can check out the specific admissions requirements here. efforts you do to help clueless students like me. people start applying in summer after graduation and not during school. ???? first of all, thank you for your kind words! i wish i knew all the answers to your questions off the top of my head but sometimes these questions take time to figure out. in regards to your question: WOW this is so complicated. this question made no sense to me so i decided to consult a registrar! they know everything. this is what they said. “if you are following the saudi system and if the school is recognized by the ministry of education in saudi arabia as eligible to offer the saudi diploma, then applying as a saudi student is okay. the “legally” equalized certificate is not the issue, it’s whether or not you are following the saudi system (which it sounds like you are following both saudi and US) and if the school is recognized by the ministry to offer the saudi high school diploma, then applying as a saudi student is fine. hope this makes more sense to you than it does to me! if you have any more inquiries, enrolment services would probably be the best place to contact! I’m an International student from India. Currently I’m a final year student in the undergraduate medical course in India- MBBS (Bachelor of Medicine & Bachelor of Surgery). After finishing my graduation, I’m aspiring to pursue my Post-Graduate in Medicine in the U of T.
How can I get a detailed information about the admission procedure to the University, admission criteria, etc.? unfortunately, there isn’t a great deal of information on how an MBBS is assessed at u of t. in fact, there’s pretty much nothing. assuming that “post-grad” means you want to pursue the MD program at U of T, this page outlines the requirements that you would need to fulfil as an international student, however, they state that you require a “Completion of a non-medical bachelor’s degree equivalent to a four-year bachelor’s degree in Canada with WES transcript assessment”. since your MBBS would be considered “medical” AND from an international institution, you might encounter an issue applying to the program. the best thing to do would be to contact the md program directly. if you’ve somehow already figured out that you’re eligible to apply, you can go ahead and look at the Ontario Medical Schools Application Service site; which has detailed information regarding how to apply to each medical school in ontario! it’s super informative and includes tons of information on each school. check out this link on applying to U of T’s med school. OMSAS pretty much has the answers to all your questions regarding medical school! in terms of advising for international students, there is always the centre for international experience (CIE) which is a great place on campus that welcomes international students and help them with international student-specific questions. contact them here: http://www.studentlife.utoronto.ca/cie/contact-us and you may even be able to ask them questions about how your degree transfers! hope this helped, best of luck to you! Im an international student going to UTM for commerce. I did my AS levels and got As in Accounts and Economics but somehow my math grade slipped from a 100% in school to a C in final grade. Will UTM take back my offer of admission or not allow me in the commerce program? to be honest, that seems like quite a significant drop in your grade so it may be possible that they will rescind your offer. however, we really have no idea and it would benefit you to check with admissions at UTM to ask about your own unique situation. i know we say “ask us anything” but this is one of those situations where we really have no idea of knowing, simply because we don’t work for admissions. however, if you do have any other questions regarding student life or other academics throughout your time at U of T, feel free to send them to us and we’d be happy to answer them for you! regardless, i wish you all the best in your upcoming semester! i hope it all worked out for you! Hi I’m starting at uoft soon and I’m an international student so I will literally not know anyone when I start! Any tips on how to make friends? 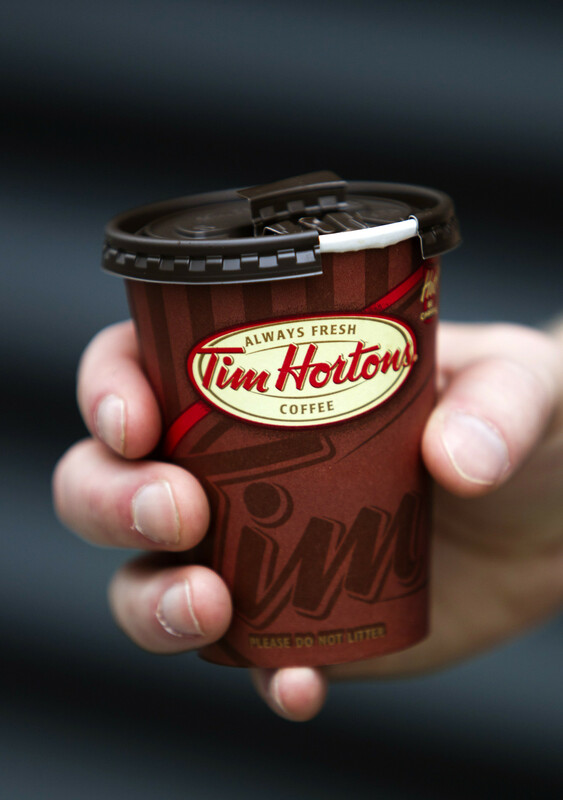 first of all, welcome to canada! i hope you love toronto as much as i do. “how do i make friends” is a question we get a lot on askastudent, so if it feels like i’m repeating stuff i’ve said in the past, i apologize. since you’re asking this question, i assume you haven’t read those entries. no worries! orientation week (or the less politically correct ‘frosh week’) is a place where you’ll be bombarded by hundreds of people from your college. even if some events seem lame, i highly recommend you attend orientation week. people will be talking about it for years and you’ll feel like you missed out on an important aspect of the university experience. this is your opportunity to take your pick. play the field, mingle, and be cool. if you aren’t cool, don’t be cool. just be yourself so the friends you make will know who you are as opposed to who you’re trying to be. after frosh week, if these friends stick, they’ll probably be the ones who will stick around for a while. if they don’t, that’s okay, it just wasn’t meant to be. here comes option 2 if frosh friends are a no-go. if you live in residence, attend res events. take advantage of floor bonding activities because they’re literally there for you to meet friends. bond with them. if you aren’t living in residence, that’s okay too! participate in an extra-curricular activity or two! u of t has clubs for everything you could possibly think of. join a choir, throw a frisbee around, or play chess! you’re bound to find a club that you’re interested in. lastly, don’t be afraid to talk to people in class. it’s always good to have a friend in a class in case you decide to sleep in for one of your 9am classes. But you know, aside from using these people for notes, you can actually try be friends with them! personally, i make friends with people when i find out we dislike the same things. ‘dislike’ is a strong word and emotion but i feel like it’s very easy to make friends if you complain about the same things. but that’s just me. maybe don’t do that. 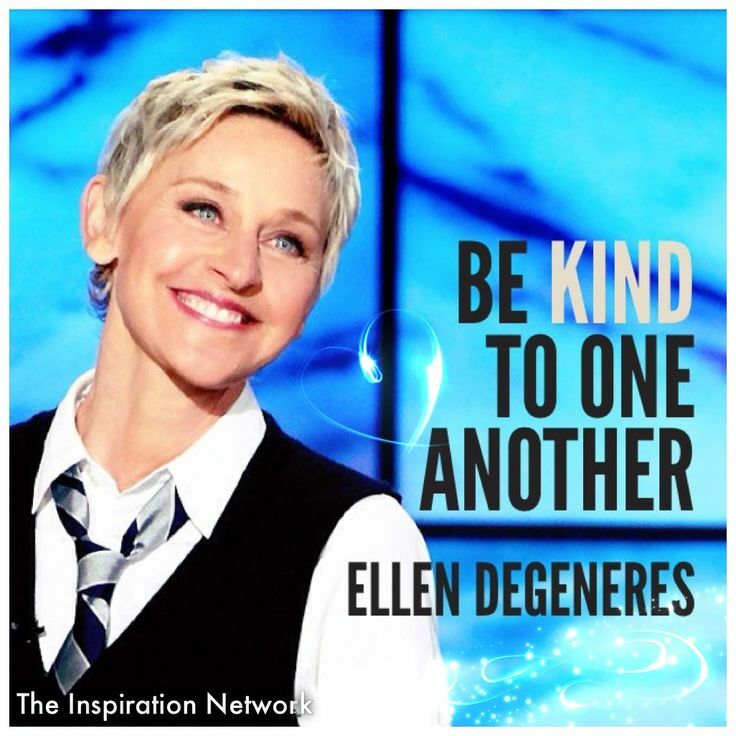 love one another and be kind, like ellen. not to be a debbie downer, but remember that friends are easy to make but hard to keep. it’s going to take some effort to keep some of these friendships going, just like it’ll take time for you to get used to having long distance friendships with people back home. don’t forget to make an effort to reach out or see each other some time. let them know you care! soon enough, you’ll have a squad, if that’s your kind of thing. Hi i’m an international student hoping to come to uoft after graduating in december this year! i was wondering when uoft intakes are? is there only a fall intake? unfortunately, if you’re applying for admission to uoft as an international student, you can only apply for the Fall session, i.e. the session beginning in September 2017. the application process starts in late September/early October 2016 though, so make sure to read up on how to apply so that you don’t miss any deadlines! 1. make a humongous house of cards. as you build, think about how it symbolizes he precariousness of your life at this moment in time, floating between two schools, two realities, two versions of yourself. the card house crashes down. you become someone else. 2. go on a trip. if you can’t afford to go on a trip because you’re saving all your money for university, fantasize about going on a trip. 3. make candles with a bro – even though it’s a cliche. 4. commune with the spirit of aska’s lost motivation. i’ll pay you $10 if you can convince it to come back to me. 5. transcend time and space. dance with Jupiter, which is only the size of a thimble in your massive, loving, purple palm. stare at yourself in a mirror. you can see yourself at every age, simultaneously. you understand that you are infinite. time is not frozen but you exist outside of it, and you watch it melting slowly like an ice cream sundae. you open your mouth to laugh, and a flock of swallows come out of your throat. they freeze on impact with space, hanging amongst the stars like a cosmic mobile. 6. kick back with a couple of beers. no wait. you’re probably like 17, aren’t you? apple juices. I am a first year engineering student at university in Washington and currently hold a 3.7 GPA (9.2% grade). I did really well in high school as well. I already applied for a transfer I UofT for mechanical engineering and I really need to know when I can expect to hear a response? I really want to find a place to live and also apply for a student visa. Also do they look at international transfers differently? i can’t tell you when you’ll hear back from uoft. not only do i not know when you, specifically, will hear back, i don’t even know when different rounds of offers are given, or to whom. it’s very likely that you’ll hear back in May, but again, i’m really not in a position to be able to give specifics. i know that it’s frustrating to be in this limbo, because you need to get a move on with visas and residence. i wish everyone heard back early, with plenty of time to figure out everything else relating to university; unfortunately, it takes time, and i have very little influence over that. (or anything else, really – like, i barely have influence over my own sleep schedule). competitive transfer students to the faculty of applied science & engineering generally have at least a 3.2 GPA, and you need to have completed the prerequisites at the high school level as well. if you meet (and even exceed, as you seem to) those requirements, then – congrats! you’re a competitive applicant. being international does not necessarily hinder your application; your grades will be valued holistically to determine your suitability for the program. of course, i can’t by any means guarantee that you will be accepted. transferring is a competitive process, especially in engineering. there are few spots and lots of hopefuls. but i will say that meeting and exceeding standards published by uoft is never a bad sign. Hello! I have several questions to ask you, being an international student looking to transfer to U of T. First of all, why does the application fee cost so much? It is $100 more than the cost of applying to an university in the US. Also, is it normal to pay the fee before turning in all the needed documents? It asked me to pay for it right after I filled out the online information portion. Lastly, I accidentally pressed something that said ‘thanks for submitting your application, please send pay your fee by mail’. Can I pay online instead? if you want to pay online and you’re not sure how to do so, what i would do is call enrolment services. they can help you out. * although, to be fair, U.S. universities do this, too. but i’m not here to judge. **or maybe it is and i just can’t find the right page. it wouldn’t be the first time. though i do have to say that trying to find information on the collection of disparate websites that make up uoft’s online presence is like being dropped in the middle of a foreign continent and being told, “Okay, we need you to get to Billy’s Burger Shack. It’s a favourite around here! You’ll find it in no time!” meanwhile, you’re panicking because you have no idea where this place is. who’s billy? where is his shack? what country are you in? is that an ocean or a sea in the distance? you don’t know. you may never find out.